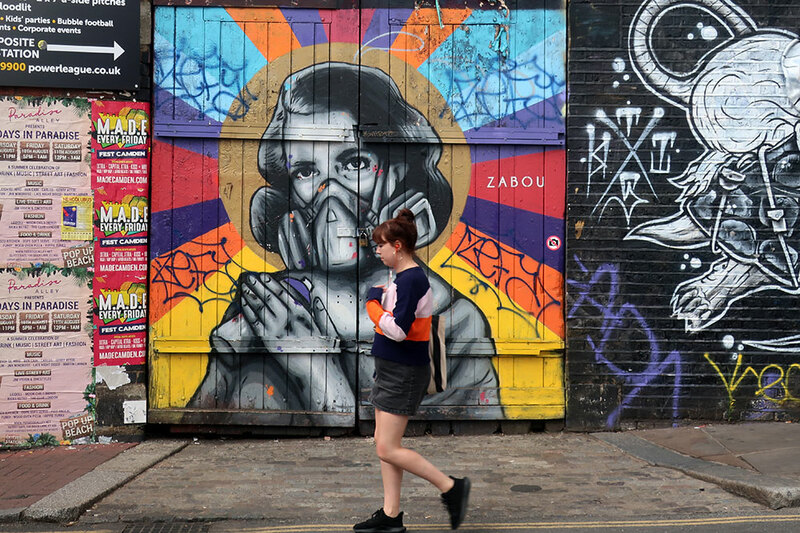 Some Londoners complain that Shoreditch, a once-edgy neighborhood just north of the City, has become overgentrified. The Chanel boutique in the Old Spitalfields Market and the “street art” mural by Gucci would seem to support that argument. On our recent visit, we took an afternoon to explore the neighborhood to see if it remains a bastion of hipsterdom, complaints of gentrification notwithstanding. 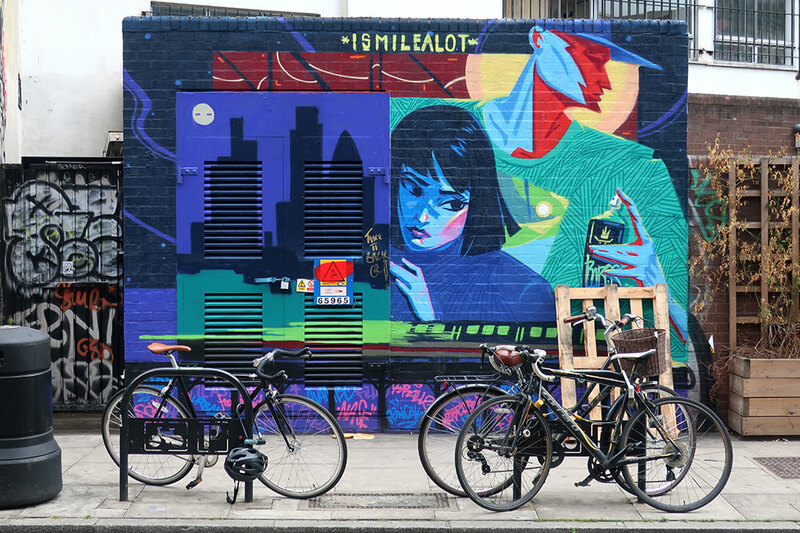 We discovered that although Shoreditch has changed dramatically in the past 10 years, it has yet to become bland. Fancy boutiques occupy storefronts near vintage vinyl shops, and although a few chain stores like Club Monaco and J. Crew have arrived, they have yet to push out all the interesting shops. The famous street-art scene also remains alive and well. For the moment, at least, Shoreditch has an appealing balance of upscale and edgy. 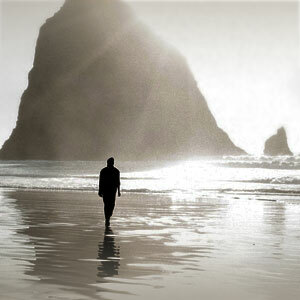 This itinerary follows in my footsteps and provides a good introduction to the neighborhood. This covered market dates to the late 19th century, but a market of some sort has stood on the site since 1638. Now, rather than wholesalers of vegetables, it contains stylish small boutiques, food stalls, craft stands and a barbershop offering “beard sculpting,” among other services. I couldn’t resist the food stalls for long, however. For much of our trip, we sought out British restaurants, but here we opted for Asian. 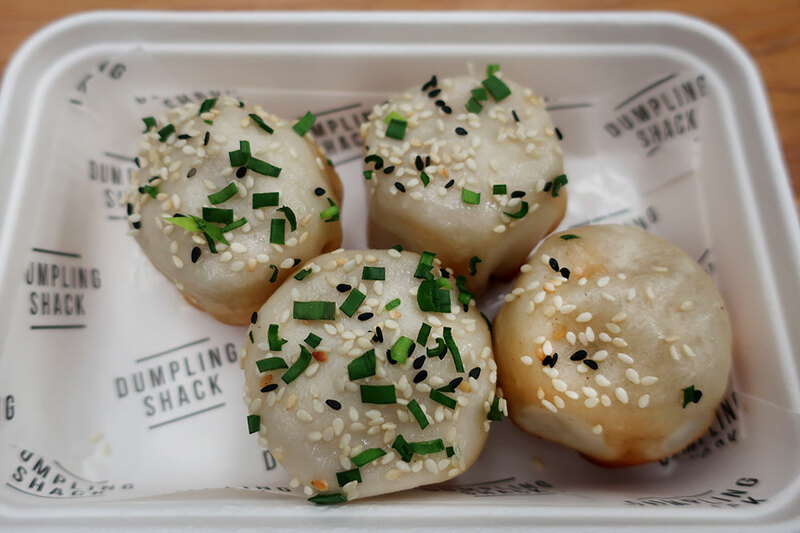 Start at the Dumpling Shack with some sheng jian bao, which are perfect for sharing. Served very hot, these pan-fried dumplings are filled with savory pork, leek and broth. I loved the dumpling wrapper, soft on top and crunchy-brown on the bottom. 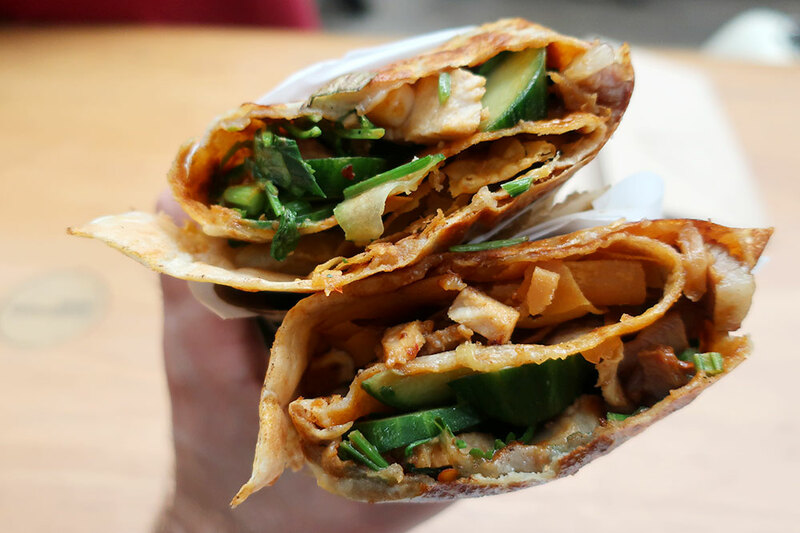 Move on to Pleasant Lady for the main course, a superlative jianbing (crêpe) filled with Ibérico pork, cumin lamb or miso chicken. The chefs press scallions into the batter as it cooks before flipping the crêpe and filling it with egg, peanut, mixed vegetables, the meat of your choice and chile sauce. 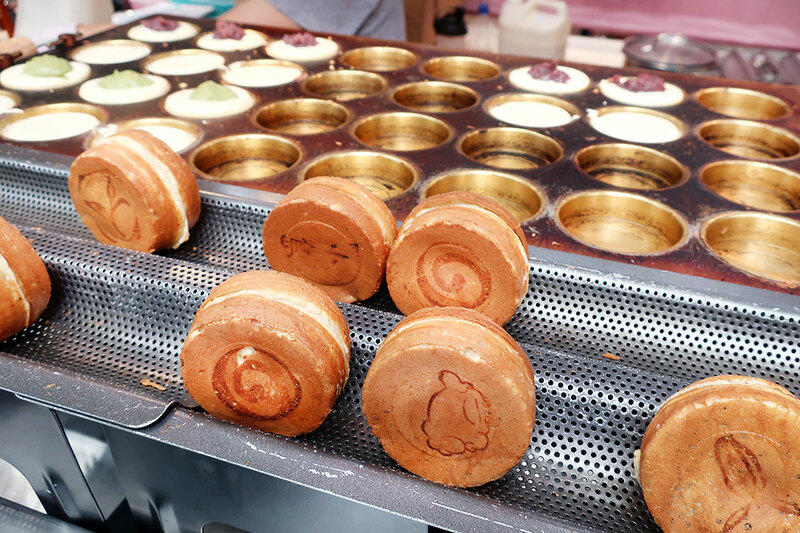 For dessert, head to Wheelcake Island, which serves a Taiwanese treat resembling a filled cylindrical pancake. Confronted with the difficult choice of adzuki bean paste, matcha cream or vanilla or chocolate custard, I opted for the fifth filling option: vanilla and chocolate custards. Backtrack along Fairchild Street and make a left, taking Shoreditch High Street under the viaduct. The second right is Redchurch Street. It’s only about five blocks long, but this stretch is home to numerous fashion boutiques. Several of its cross streets display striking street art, notably Chance and Turville, and they are well worth short detours. At the end of Redchurch, make a right on Brick Lane, which leads back south toward the City. 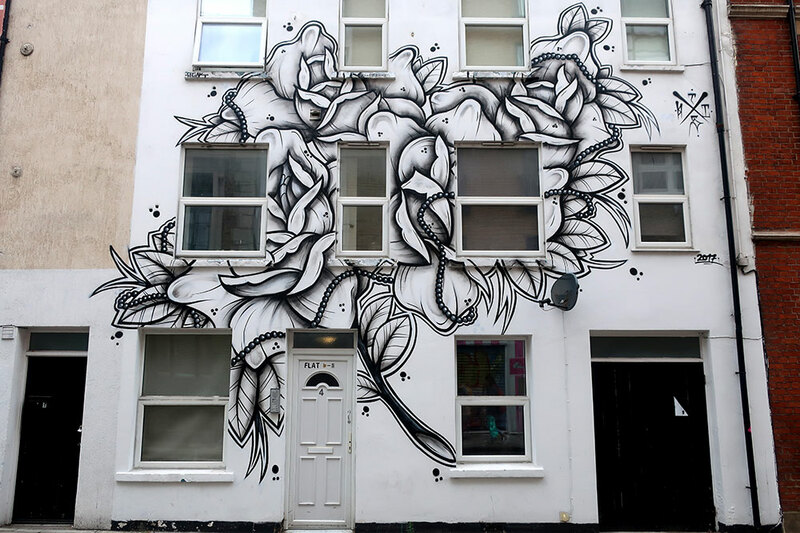 Many of its cross streets also contain impressive examples of street art. Poke around to the left and right at Bacon Street, and indulge in a gourmet truffle or two at Dark Sugars Chocolates on the southwest corner. Continuing south along Brick Lane, head toward Cheshire Street, which is worth a look for its vintage clothing and bookshops, and if you happen to like bow ties, be sure to stop in Le Colonel Moutarde. 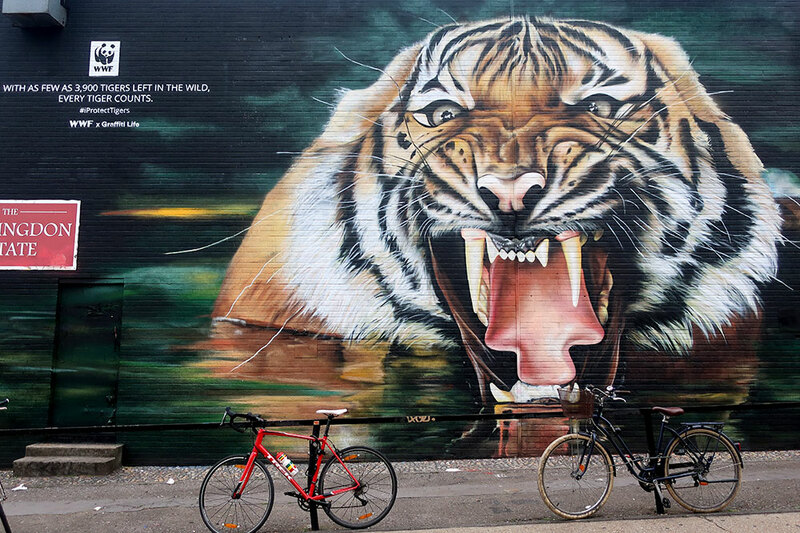 Next, head for narrow, pedestrian-only Pedley Street, where some of the most impressive examples of the neighborhood’s street art can be found. 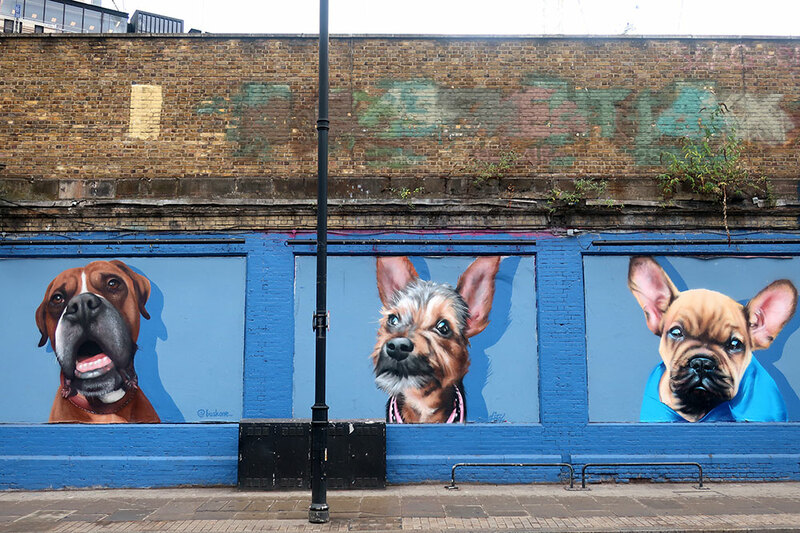 Take the first left to observe the art beneath the viaduct before backtracking along Pedley Street to Brick Lane. Continue down to the Old Truman Brewery, home to the popular Sunday Upmarket, a fashion market held Sundays between 10 a.m. and 5 p.m. If you’re visiting during the rest of the week, it’s still worth turning right down Dray Walk, an alley past the brewery’s main entrance. 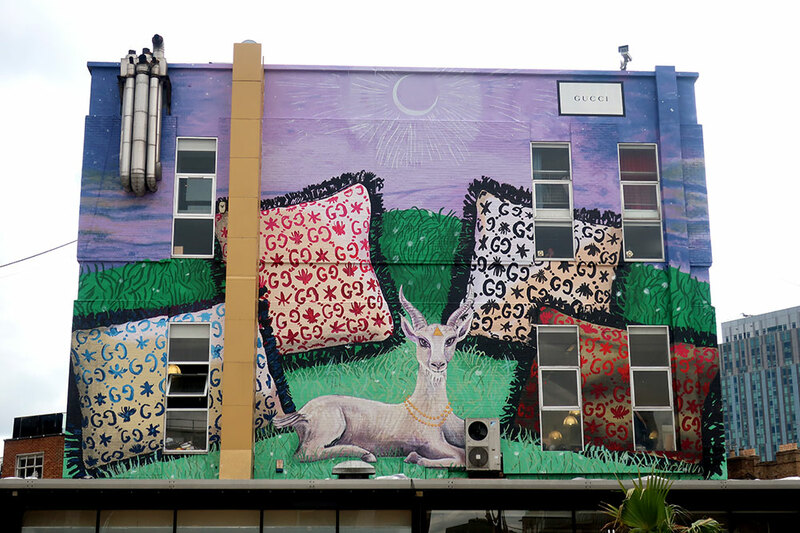 The courtyard to which it leads has more street art, including Gucci’s mural, as well as some food stalls and fashion pop-up stores. Some of London’s most famous curry houses occupy the blocks south of Old Truman (ask your concierge for a recommendation). But if you’re not in the mood for a South Asian meal, this is a great place to catch a taxi back to your hotel.